The Hestia Family Superior apartment has the name of the patron Goddess of the Family and the sacred unquenchable flame of the Hearth. The Studio is constructed to cover all the needs of a modern family, combining comfort, luxury and functionality. 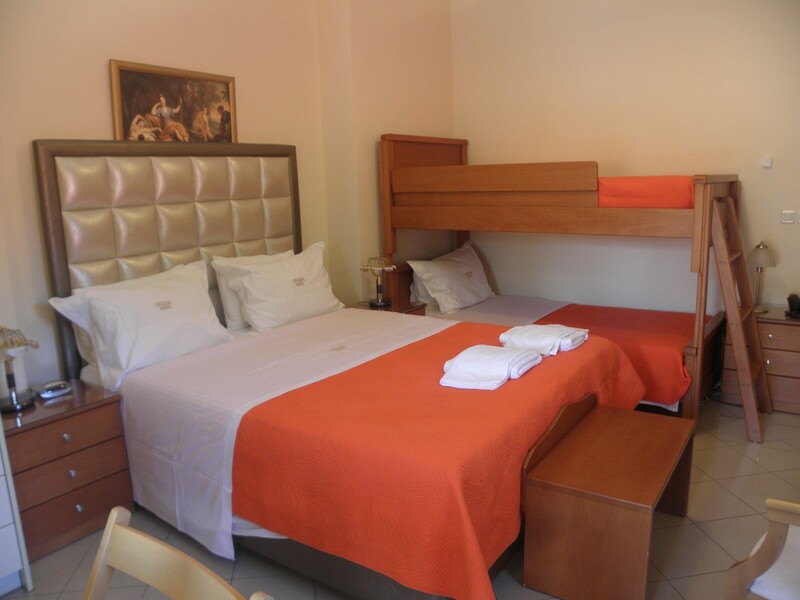 Spacious, fully equipped kitchen and bathroom are provided and also balconies with view of the sea and the mountain. 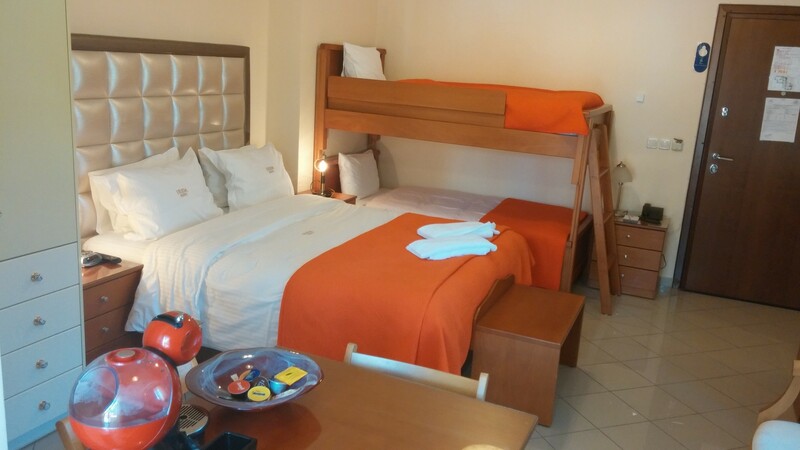 It has 1 Queen Size bed, with Simmon’s orthopaedic matress, two bunk beds, Signature bedding includes triple sheeting, down duvet, and down blanket. Sofa bed. 30 square meters. Sitting area. Desk with chair. CD player. 32-inches flat-panel television with both Satellites Hotbird and Astra as well as Digital Terrestrial (Greek) channels. Wired and wireless Internet access (complimentary). In-room safe Box. Partially open bathroom with shower with handheld shower head. Bath amenities, porcelain sink, hair dryer and makeup/shaving mirror. Slippers. Air conditioning individual operated.